Is a Mansion a Trophy Home? Carrick Hill Carrick Hill Drive, Springfield S.A. There is no public list of grand houses, or ‘mansions‘ in Australia. 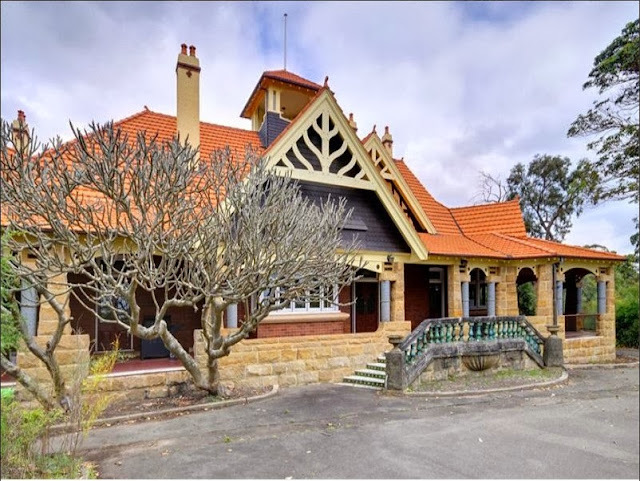 However the Australian Heritage Register lists a possible number of over 320 with heritage interest, and the National Trust has documented 75 of these in its publication Australian National Trusts – Historic Houses, also known as Historic Houses of Australia. A mansion is a large dwelling house, the word comes from Old French and earlier Latin, together with the words ‘Manor‘ and ‘manse‘ (a property large enough for the parish priest to maintain himself) come from the same root. A Mansion is generally a large house, or the plural, ‘Mansions’ refers to an apartment block. To be a mansion there should be at least six bedrooms, and probably eight bedrooms as the norm. Calling something a mansion indicates a level of grandeur, beauty, quality and consumption considerably greater than the norm in that location, indicating the housing of the very rich. Mansions usually have specially designed rooms meant to accommodate leisure activities of a particular kind. Federation mansions usually had a large billiards room, and earlier large homes had a ballroom as well. Many mansions have a conservatory or greenhouse, while others will have an infinity pool or a home theater. At the beginning of the 20th century, no true mansion would have been built without a room to house a private library or study, while at the beginning of the 21st century the presence of a room designed for a home theater or cinema is normal. Large garages are now the norm, with space for 10 or more vehicles, usually in a secure underground building below a garden or a pool. Yes, although while a Trophy Home may be a luxury house, and be a desirable, highly priced residence, it may have only 3 or 4 bedrooms, so is not a mansion. Mansion construction in the 19th century was built in the Victorian period, and these are the majority of Australian mansions. The early Tasmanian and Victorian farming successes, and then the successful gold mining of the 1870s, allowed the building of earlier grand houses, and later ‘Boom’ architectural design of many magnificent houses in Victoria and New South Wales. Looking for a mansion? Find some of these and newer houses in the Weekend Australian’s magazine Mansions Australia. Babworth House, a wonderful example of Federation Arts and Crafts style. This photo shows Belltrees homestead in the Hunter Valley. In 1907 at the peak of the wool production era, H.L. White built the 52 room BelltreesHomestead. The house was designed for the White family, one of New England’s pastoral dynasties, by J W Pender, one of three generations of the family firm of Maitland architects who left such an impression on the New England built landscape. It is now the family home of Dr Judy White, author, historian, archivist and grandmother of 19 grandchildren. The house features an imposing internal staircase and a cast-iron balcony verandah on both floors. Seven generations of the White family have called Belltrees home since Merino-wool pioneer James White purchased the property on the banks of the Hunter River in 1853. The 52-room Federation homestead was built in 1907 and parts of it are open to visitors. Group tours also take in the woolshed, chapel, school and post office, built to support the 60-plus workers who once lived on the farm. “It’s a private village here,” says Serena White of the 9000-hectare property, an hour’s drive from the cellar doors of the Upper Hunter. The original Colonial homestead is now a museum containing cast-iron farm implements made by the property’s blacksmith, historic photos, crockery and domestic accoutrement from 160 years of life at Belltrees, which is still a working cattle farm. Designed as an interpretation of an English country house, Booloominbah sits in a relatively intact landscape. As such, it is exemplary of the work of architect John Horbury Hunt. As well as being large, it is also extravagant in decoration, in particular the use of stained glass. The fabric substantially demonstrates the wealth and influence of pastoralism in NSW in late 19th century. Its gift by Thomas R. Forster was the catalyst for the establishment of the New England University College, the first in Australia to be located outside of a capital city. The gift of such a substantial house demonstrates the historical circumstances of the White family’s involvement, the impetus from the local church and community groups, and the ‘new state’ movement in establishing Armidale as a major educational centre in NSW. “Camelot” stands on the site of explorer John Oxley’s Kirkham Mill near Camden NSW. The original grant was made in 1810 and extended in 1815. It is constructed from brick and has a romantic silhouette of turrets, chimney stacks, gables, arched verandas and projecting bays. “Camelot” was reportedly built with the winnings from “Chester”, a racehorse which won the Melbourne Cup in 1877, owned by James White. The house was owned later on by the Faithfull-Anderson family. Camelot also has a fine brick stable with arched wooden ribbing, a brick smokehouse and an octagonal aviary. John Horbury Hunt designed Camelot for James White of Cranebrook in the late 1880’s, built in 1888. It is constructed from brick and has a romantic silhouette of turrets, chimney stacks, gables, arched verandas and projecting bays. “Camelot” was reportedly built with the winnings from “Chester”, a racehorse which won the Melbourne Cup in 1877, owned by James White. Camelot also has a fine brick stable with arched wooden ribbing, a brick smokehouse and an octagonal aviary. The original grant was made in 1810 and extended in 1815. The house was owned later on by the Faithfull-Anderson family. Upon her husband’s death in 1912 Mrs. Frances Faithfull-Anderson paid for the erection of a memorial drinking fountain in the middle of the intersection of Argyle and John St, Camden. The fountain was subsequently moved to Macarthur Park where it now rests. A smaller matching memorial was erected at Camelot at the same time. Today Camelot is being lovingly cared for and will possibly be open to the public on a limited basis in the future. c1900 Faithfull-Anderson family bought the property. Caves House is an icon of Blue Mountains accommodation. The Government Architect, Walter Liberty Vernon, designed the first wing of Caves House, built in 1897, which could then be reached by a new road through the Grand Arch. The rambling, 4-storey hotel complex was designed in an ‘English Domestic Revival’ style, which was then being employed for the best hotels in Britain of the 1890s. Caves House sits alongside Jenolan Caves, Australia’s most well-known limestone cave system and longest continually operating tourist attraction. Caves House, along with all the buildings in the Jenolan Caves Karst Conservation Reserve, was added to the NSW State Heritage Register in 2004. Considerable changes have been made to the buildings over the years, but today Caves House is rightly regarded as one of the finest large guest houses still functioning as tourist accommodation. Vernon designed Caves House in an Arts & Crafts style to reflect the romantic and picturesque associations of the caves, describing it as a ‘large comfortable hotel of the type best known in the tourist districts of England, Scotland, Ireland’. He used the alpine, picturesque ‘Federation, Arts and Crafts‘ style. This structure is part of the Jenolan Caves State Heritage Listing. In 1907, a second wing, also designed by Vernon, was added to Caves House, with subsequent wings in 1914 and 1923, probably also designed by Vernon but supervised by George McCrae. Moore describes it as having a craggy gabled facade and series of picturesque gablets, knobbly tile roof and deep recessed openings with multi-paned windows, giving the new building an instant air of old-age, charm and respectability. In 1897 the Director of the Royal Botanic Gardens Joseph Henry Maiden, remodelled and terraced the slopes around Caves House, providing a setting of park-like gardens. “Caves House itself was designed to appeal to the sophisticated, financially comfortable element of society, the intellectual and the curious. In historic Caves House, every room is different – different shape, slightly different size, different view, different furnishings and colours. Even window style, shapes and sizes vary from room to room. Some rooms even have bay windows – but only some. Curzon Hall completed 1899, is of historical significance as one of the last built of the grand gentlemens’ villas of the Ryde district, and as the residence of entrepreneur Harry Smith and his family from 1899-1921. During its period as a residence, it was a well-known social venue. Curzon Hall is also of historical siginficance for its operation as a Catholic seminary from 1922-1982, and as a well-known wedding reception/function centre since 1983. Curzon Hall is a large sandstone mansion in an eclectic Federation Free style,, constructed from 1897 and completed in 1899 and is constructed of rusticated stonework with dressed stone trim, coursing and quoining. 1935: Chapel constructed reusing stone from demolition of stables in 1934. Post-1943: subdivision of the site to form Vincentia Street to the south and reduce size of the garden. 1983: extensively refurbished for use as a wedding reception/function centre; changes to garden. 1990s: ballroom demolished as part of a site subdivision which resulted in construction of an adjacent medium density residential development. This 1920s heritage home was restored in 2008, with close attention paid to the period details. The grand formal living and dining rooms retain their original features. The seven-bedroom, five-bathroom Vaucluse home is split over three levels, with the property’s former stables converted to a self-contained apartment. Entertain guests in the grand ballroom, where the arched windows offer views to Sydney Harbour Bridge, or relax on the rooftop terrace as you overlook the harbour. 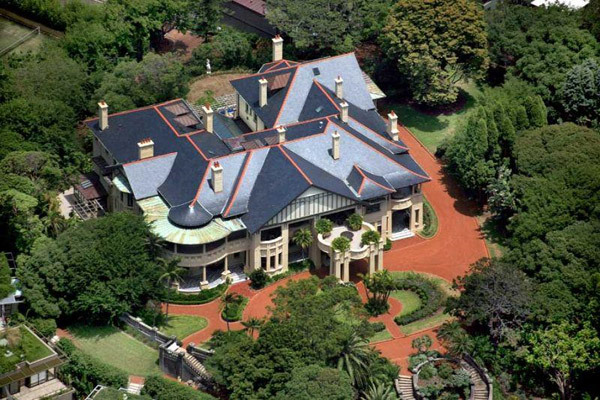 Around the same time Craig-y-mor (demolished) set a soon-to-be-trumped sale record of $32.4m in March 2008, Elwatan at 10 Wentworth Road in Vaucluse attained a princely sum of $12.35m. Now, without any property renovations, the home is back on the market and it looks like they’re asking $15m+. Cons: The bulk of the yard is on the non-view side of the house and the view side is rammed up against another house; although the home is on fancy Wentworth Road, it sits in a slightly less desirable precinct (closer to New South Head Road instead of Neilson Park); the house needs a complete overhaul to meet contemporary standards. The word cottage is a bit of an understatement for this nine-bedroom, seven bathroom home in Sydney’s Darling Point. Built around 1850 by industrialist and benefactor Thomas Mort, the lavish property sits amid a beautiful established garden on a 1,307sqm block. With period details, ornate high ceilings and original stained-glass windows it “oozes old-world wonder” and is an early example of Queen Anne Revival style. 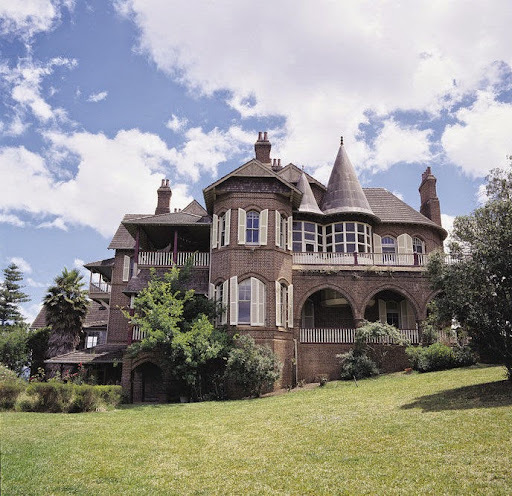 Iandra Station and Mount Oriel Homestead, known as Iandra Castle, was established by George Henry Greene from 1878-1911 and is a rare example of a complete ‘English Manor’ style estate. The nearby village of Greenethorpe was built by Greene for his tenant farmers. The house is situated 30 minutes drive from Cowra and is open to the public on certain days of the year or for coach parties by appointment. 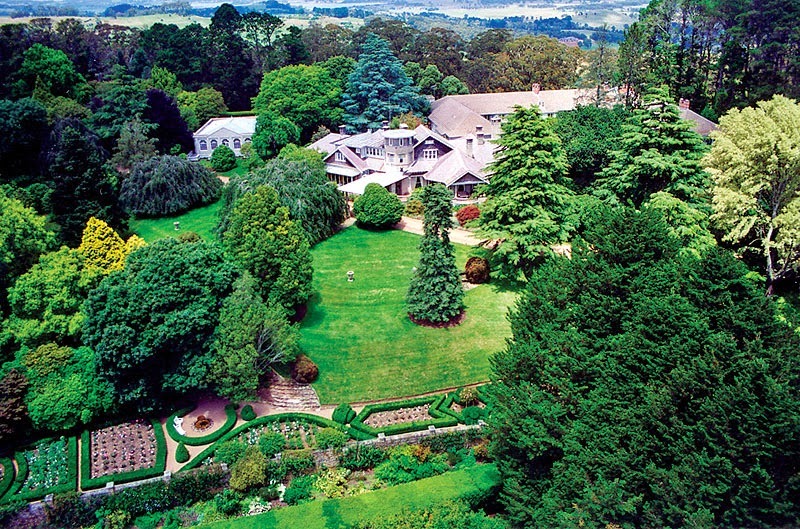 Learn more about this unique Edwardian estate located in country NSW. Opening Times: Special open days or by appointment. The Bellevue Hill trophy residence Leura sold on Monday afternoon 10-Nov-2015 for more than $30 million, setting a suburb record in the process. Built in 1891 for Mr Tom Knox, brother of Edward William Knox, adjoining ‘Rona’ and probably by the same architect, G A Morrell. Of Federation Queen Anne style, the house was gutted by fire in January, 1909 and the wooden shingle roof replaced by terracotta shingles. Leura has since returned to the private sector. The site was once an Aboriginal camp alongside a natural spring. Lynton is one of the district’s most admired true Federation mansions enjoying a commanding elevated position, and set on a sweeping 90x 225ft or 2134m² landscaped grounds with two street frontage. 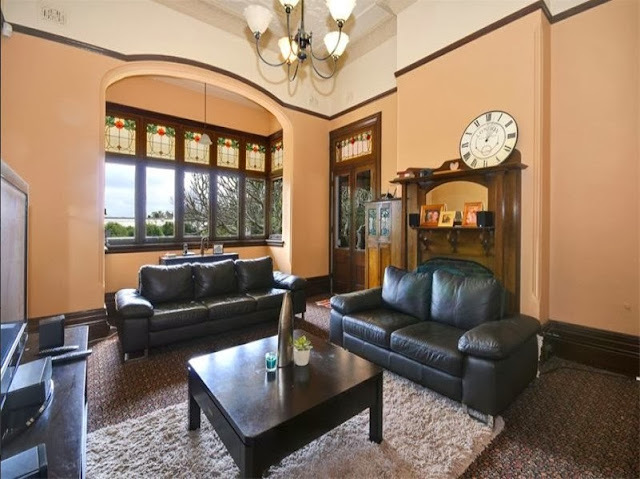 A unique Federation mansion set on extensive park like grounds just 300 metres from Burwood shops and walking distance to the areas major private schools. High ornate ceilings, superb marble fire places, undercover outdoor entertaining area, sparkling in-ground pool, triple car garage plus ample visitor parking. 6 spacious bedrooms, magnificent formal and in formal living areas, massive family room, stunning marble kitchen with huge pantry, study, 5 bathrooms, separate in-law accommodation. Lynton was designed for Arthur Hezlett by architect Stanley Rickard in 1906. The Burwood Historical Society and the National Trust of Australia (N.S.W) nominated a group of Federation houses in Burwood for protection under the Heritage Act in 1981. An Interim Conservation Order was placed on the heritage precinct on 20th November. This nomination came into being principally because Lynton exhibited similar features to a fine collection of Federation style mansions that formed a coherent and well preserved streetscape. An ornate and highly individual treatment of the Federation idiom, the house displays a complexity of form and materials, ranging from its multi-gabled roof line, roughcast render and leaded quarry windows, to vigourous application to flat carved timber and stone work. Its ballroom is on the right hand side of the front door. The grandeur of this setting was quite deliberately achieved with the house capturing so well the architectural qualities of the time. The most distinctive feature of this house is its picturesque roofline. Ornamentation was not just restricted to the roof, wood, glass, and tiles were the other main modes of decoration. The influence of Art Nouveau is displayed throughout the house and can be seen in the plaster ceiling of the drawing room and entry hall. In the design of windows and doors, plants are depicted in leadlight with the vegetation, such as leaves and flowers buds, twining from the base of the design towards the top. Where a door has a fanlight and sidelight ( the two main entry doors) the vegetation envelopes the door itself by twining from the base of the sidelight and making its way to the other side of the fanlight. A small parapet wall facing the street has the name “Lynton” inscibed on it. Stables located to the rear of the property. (Balaz and Issa 1986). When Lynton was purchased by an Alderman of Burwood in 1985, the building was converted for use as a reception centre. In the process of conversion the removal of walls between the major rooms took place. It was at the time in derelict condition. The owner subsequently restored the house. Lynton was listed on the State Heritage Register on 2 April 1999. In 1984 the property was sold and the then new owners, Drs Ron White and John Cooper initiated a program to establish the house as the cone of a country house hotel resort. The addition of a family room on the eastern side (c1960’s) to main house. New accommodation wings (1980’s), designed by the architectural firm Phillip Cox and Partners, were added for Hotel guest Suites. of the surrounding countryside, including across the valley to ‘neighbouring’ mansion Mount Errington. An Outstanding late Federation Queen Anne Style mansion. Impressive multi-level roof with highly decorated gables. Generally in good condition. Many interior features of note. Owned by Marcus Clark leading Sydney retailer of the time. (LEP). Grounds: Remnant garden layout surrounding notable mansion. Mature period trees dated from Federation period. Of regional significance. (LEP). 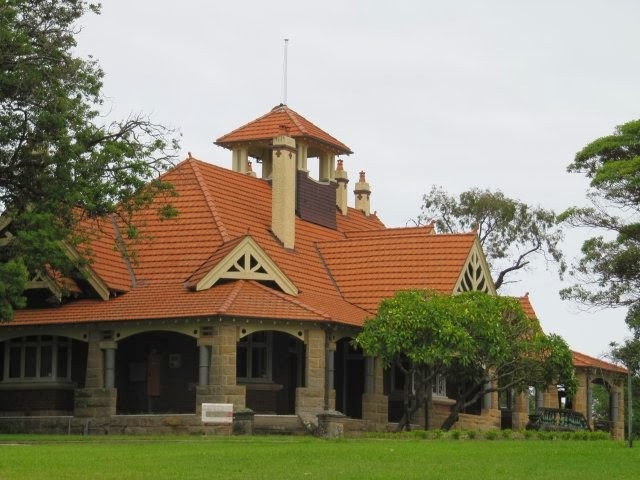 A Federation mansion constructed over the years 1913-1914, with face brick walls, complex steep pitched terracotta tiled roof, tall roughcast chimneys, shingled and half-timbered gables, sandstone veranda piers with simple scalloped timber valences. Unusual cylindrical polished granite colonettes support the timber veranda posts. The structure is a large two-storey brick residence. The elevations are a symmetrical. There are gabled projections on the north- east and west elevations with two storied verandahs between. Spanning two storeys with an abundance of accommodation and entertaining options, this gracious residence is surrounded by sprawling grounds dotted with towering Morton Bay fig trees, a pool, barbeque area, outdoor sauna and full-size north-south tennis court. It contains six bedrooms plus a study, the main with a WIR, ensuite and balcony and one with its own living space and entrance, making it an ideal nanny or guest wing. A series of generous formal and casual entertaining areas along with a TV room provide space for all occasions, with a wraparound verandah taking full advantage of the view. At its heart is a modern Smeg gas kitchen. Details include parking for at least four cars, timber floorboards, gas bayonets, high ornate ceilings, beautiful timber joinery and leadlight windows. Boasting the grand proportions and elegant features of yesteryear, the lovingly preserved residence offers scope for transformation, creating a home befitting its dress circle location and never-to-be-built-out backdrop. Mesmerising 270-degree harbour views from the Bridge and Opera House around to the Manly skyline. 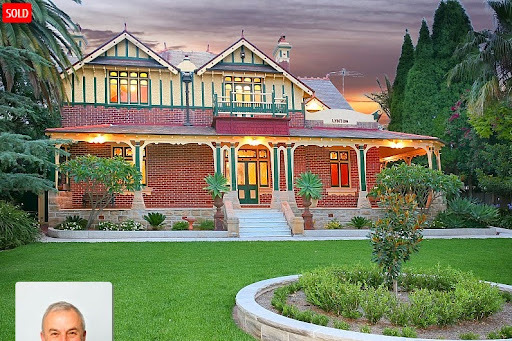 West Maling has a high level of aesthetic significance at a state level as one of the purest examples of the Queen Anne style of architecture existing today and it is thought to be the first of its type of residence built in Australia. Its significance is enhanced by its retention internally and externally of virtually all the original joinery, its original driveways and part of its original gardens. It has historical associations with Albert Bythesea Weigall, the first headmaster of Sydney Grammar School, having been built in 1889 for his residence. This grand mansion in the Elizabethan Tudor style is thought to be a rare example of the work of the English architect, Richard Norman Shaw. Its construction was supervised by local architect, Charles Halstead, the final cost being 3,561 pounds 10 shillings and tuppence. It is conspicuous amongst the many red brick mansions of Sydney’s late Victorian period because of the Queen Anne style of its architecture and the quality of its detail. It is an exceptional and rare example of that period from the mid-1860s onwards which was popularised by the English architects, William Eden Nesfield and Richard Norman Shaw and their followers. It appears to be the earliest Queen Anne design to appear in Sydney (Staas, 1984, 5). The original garden was set out during the Federation period and from the beautiful wrought iron carriage gates set between pillars a privet hedge extended along Penshurst Avenue. Some of this had to be removed in 1983 to allow builders access to build the underground chapel and avoid damaging these gates (Davis, 1983, 119). The Weigall family enjoyed an elegant lifestyle. A broad front garden once separated the house from King Georges Road, until part was resumed by Kogarah Council for road widening in December 1970 (Earnshaw & Hallibone, 2007, 138). Yarralumla and Surrounds, including Government House, gardens and grounds, dates from the nineteenth century and is historically highly significant. Government House, Canberra, in its origins and architecture, is quite unlike Government Houses of the State capitals. Most State Government Houses were built in Queen Victoria’s reign as residences for her vice-regal representatives, whereas Yarralumla’s history is as old as any, but very different in kind. It is associated with the early grazing history of the Limestone Plains and was worked as an important local pastoral property through until the early years of the twentieth century. Acquired by the Commonwealth following the selection of Canberra as the site for the national capital, Yarralumla was chosen as the residence of Australia’s Governor General and has operated in this role since 1927 when Parliament opened in Canberra. The original Mowatt farmhouse of c.1832 was a three-roomed stone building, with a verandah and French windows. Other buildings nearby contained the kitchen and other facilities, and there were farm outbuildings as well. 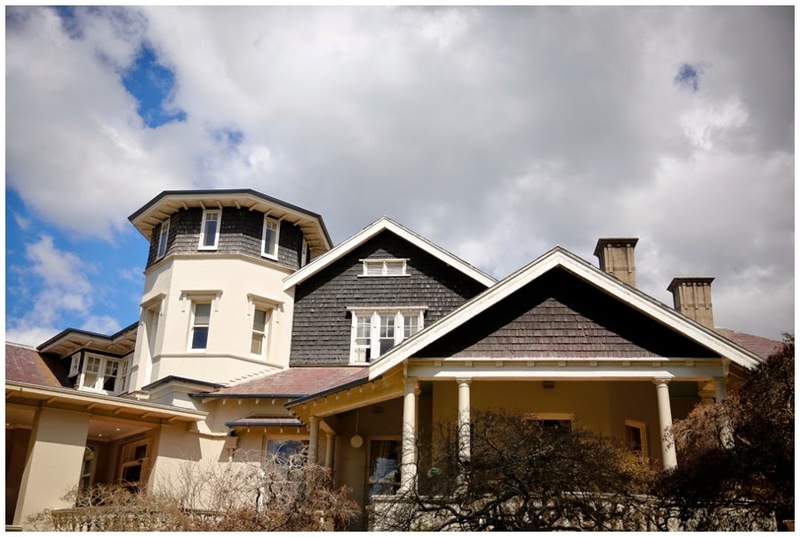 Murray made additions to the original building, in the form of a grander Victorian house to the south end of the Mowatt house, and it had a wide verandah. The house was made much more comfortable as well, and a park-like garden was laid out. There were many outbuildings and houses for workers on the estate. Frederick Campbell undertook major works in 1891. In this year the three storey, double-gabled and bayed addition was erected, by Queanbeyan builder Frederick Young. This required the demolition of much of the western portion of the existing homestead. The extension was built of brick, and it did not sit well with the earlier building. In 1898 further additions were built, designed by Goulburn architect Edmund Manfred. 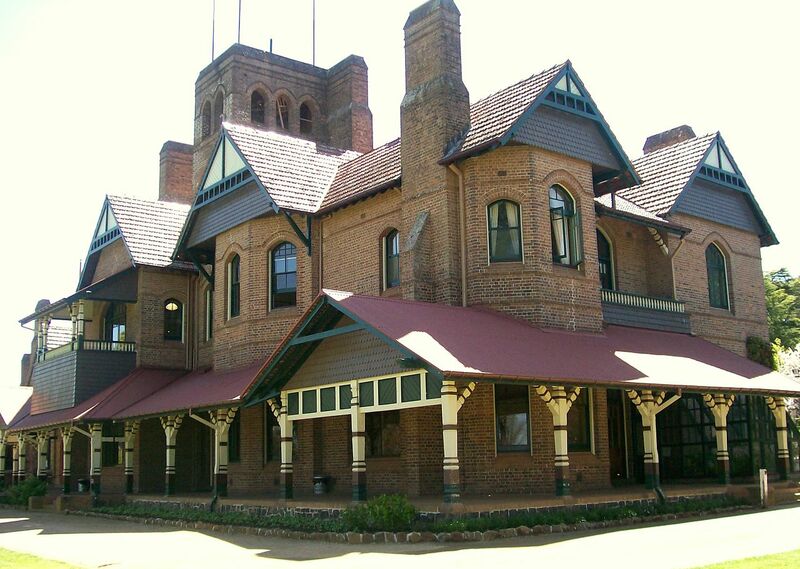 The main work (built again by Fred Young) was a new brick wing in Federation style, with iron hipped roof and wide verandahs, and it was more harmonious than the 1891 extension. A porte cochere was built as well, plus a conservatory, and new stables were erected in 1902. In 1904 the 20-stand Yarralumla Woolshed was built (it is outside the RNE boundary for Government House, but is separately registered at RNE 13291). An overseer’s cottage was also built. Following the Commonwealth’s takeover of Yarralumla, a new wing and other additions and alterations were built in preparation for use by the Governor General. These works, carried out during 1925-27, were designed under the supervision of John Smith Murdoch, the Chief Architect of the Comonwealth Department of Works and Railways. Murdoch played a highly significant role in the design of many major Canberra buildings, including Parliament House, the Kingston Powerhouse, Hotels Canberra, Acton and Kurrajong, Cotter Pumping Station, and schools. The new works at Yarralumla, costing a massive 72,000 pounds, included a private entrance between the 1891 bays, a three storey addition and other buildings. Ruth Lane-Poole was appointed to design the interiors and furniture (and she did the Prime Minister’s Lodge as well). 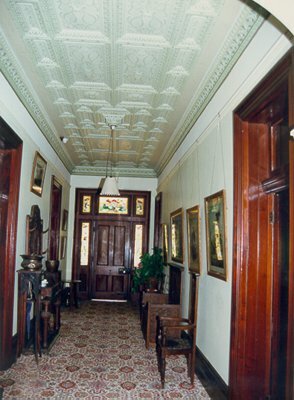 Lane-Poole, whose husband Charles was acting head of the new Australian Forestry School nearby, was an experienced decorator of the period. She helped transform Yarralumla from a country grazier’s house into a place suitable for Australia’s Vice Regal representative. In 1939 more refurbishment and redecoration was undertaken, in anticipation of the arrival of the Duke of Kent as Governor General. The design was by E.H.Henderson, Chief Architect of the Works and Services Branch of the Department of Interior. Works included demolition of the remaining rooms of the Murray/Mowatt homestead, extensions to the dining and drawing rooms, a new porte cochere, additional bedrooms, repairs to the Campbell era sections, and new garages. Re-rendering of the whole further helped to join the 1891 section to the rest, as did the replacement of the iron roof with tiles. Interior decoration was designed by Mrs ‘Dolly’ Guy Smith. As it turned out, the Duke of Kent and his family did not come to Australia after all. Built in 1907, this historic home on 1518sqm of land is in the heart of Brisbane’s New Farm and boasts 30.2m of street frontage to Elystan Rd. The home conjures memories of Queensland in the early 1900s, with a massive dining hall opening on to large verandahs, six bedrooms and a large sunroom. The period features, including pressed-metal ceilings and sash windows, have been maintained. Entertain guests in the huge library, or escape the Queensland sun in the sandstone pool. 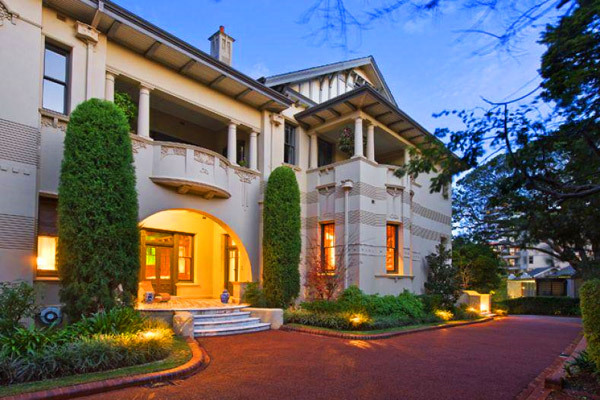 This gorgeous Federation home 12 Elystan Road, New Farm, sold for $5.5 million. ‘Elystan House’, number 12 Elystan Road was designed by architect Kevin Hayes and inside it features 10 foot pressed metal ceilings, polished hardwood floors, lead light windows and a fireman’s pole. Architecturally significant, a good example of an architect designed home, basically Queen Anne Revival in style, with wide verandahs as a concession to the local climate. Single storey brick structure set at ground level and with a slate roof. Verandahs complex in plan echoing the irregular perimeter of the house and forming their own individual bays. Verandahs have cast iron balustrading but the friezes, pediments and brackets are in timber fretwork. Excellent fireplaces, mosaic tile entry hall and elaborate cedar joinery. Carrick Hill is important because the grand mansion, set amidst a large park, continues the elite and park-like traditions of Springfield. The house is an E shaped, two storey, assymetric design on a large scale with a typically Elizabethan combination of chimney stacks, gabled and hipped roof forms with dormers dominating the skyline. Style: Elizabethan Revival, but has characteristics of Interwar Architecture. Oak panelling and pewter light fittings happily blend with heated towel rails, ensuite bathrooms and electric bell buttons (or pushes?) to summon servants. Carrick Hill was under construction from 1937 to 1939, and at the same time, Ursula designed the garden. Ursula and Bill moved in during the winter of 1939, only to be torn apart soon after by the Second World War when Bill Hayward left to serve with distinction with the army in the Middle East, becoming one of the famous ‘Rats of Tobruk’ and the Pacific. Opening Times: Wednesday to Sunday, regular tours are offered twice daily at 11.30am & 2.30pm.